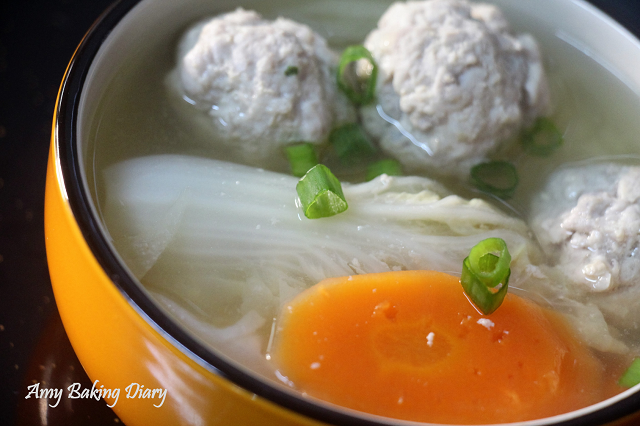 This is one of the soup that my hubby likes it a lot because it is a comforting soup to have it on a hot afternoon day. We had this soup on last weekend and it really goes well with the Prawn & Bunashimeiji Mushrooms Fried Rice. 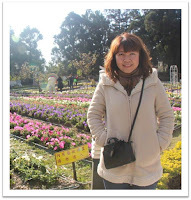 Napa cabbage can make soup very tasty as it contains natural sweetness and the flavor is so clean and fresh. I used anchovies and soy beans to make soup base as these 2 items are always available in the fridge whenever I’m running out of pork ribs or chicken bones. (1)Marinade ground pork with ginger juice, spring onion, light soy sauce, white pepper, egg and Hua Tiao Wine in a box. Covered and put it in the fridge for about 1 hours. 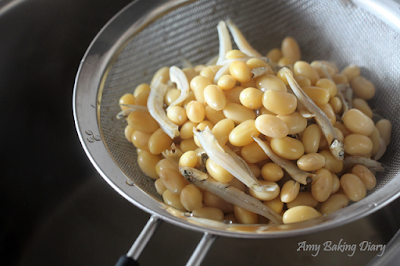 (2)Rinse anchovies and soya beans then put into the pot of water. Bring to boil and simmer 20-25 mins then strain the soup through a sieve to remove the anchovies and soy beans. (4)Rinse and cut the carrot into slices. 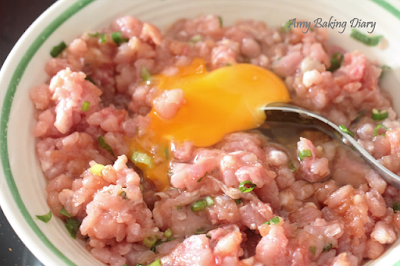 (5)Remove the marinade ground pork from the fridge. Scoop about 1 tablespoon of meat mixture and form it in a ball then drop it into the pot of soup. Do not stir. Cooked for about 10mins. 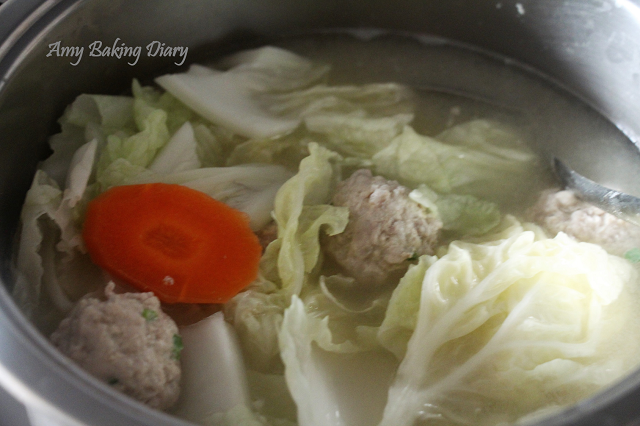 (6)Add carrots into the soup pot and follow by cabbage. 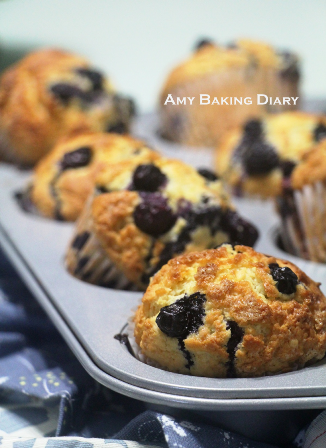 Stir gently and cook for 15-20mins. (7)Serve the soup and garnish with green onion. Nice comfort soup. 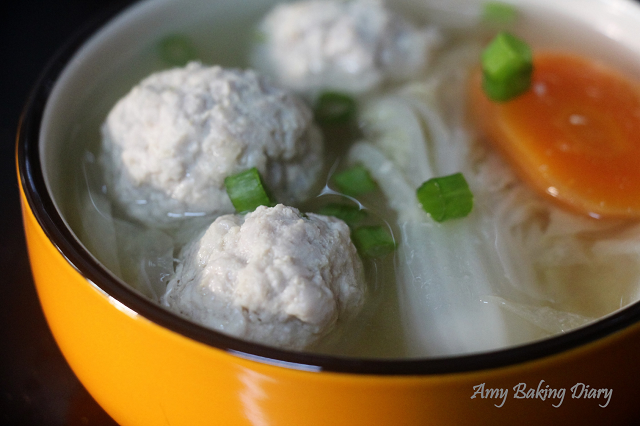 I love this meatball soup too ... sometimes I add shiitake mushrooms.